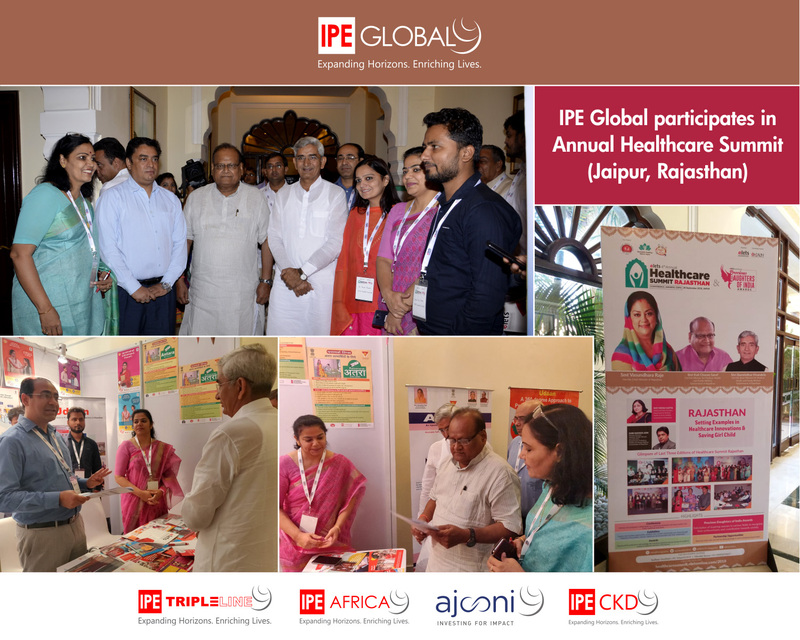 The Department of Medical, Health & Family welfare, Government of Rajasthan, organised 4th Annual Healthcare Summit, Rajasthan & Precious Daughters of India Awards, under the auspices of National Health Mission, along with Elets Technomedia and eHealth Magazine, on 28th September 2018 in the pink city of Jaipur. The event saw the participation of Shri Kali Charan Saraf, Hon’ble Health Minister, Medical, Health & Family Welfare, Government of Rajasthan; Shri Banshidhar Khandela, Hon’ble State Health Minister, Medical, Health & Family Welfare, Government of Rajasthan; Smt. Veenu Gupta, Additional Chief Secretary, Medical, Health & Family Welfare, Government of Rajasthan; Shri Naveen Jain, Mission Director, National Health Mission & Secretary, Medical, Health & Family Welfare, Government of Rajasthan; Shri Rajan Vishal, Additional Mission Director, National Health Mission & Director (IEC) and Special Secretary to Govt., M&H Dept. & Aceo, State Health Assurance Agency, Department of Medical, Health & Family Welfare, Government of Rajasthan; Smt. Vidushi Chaturvedi, Director, NHM, Ministry of Health & Family Welfare, Government of India. The Healthcare Summit provided a platform for all stakeholders to deliberate on innovative solutions in the healthcare domain. It also aimed at sharing good practices among the key decision makers, strengthen academia – Govt. – industry partnership, and to bring out some of the important recommendations to enhance the healthcare space of the state. Panel discussion sessions were organised on Public Private Partnership for Affordable Healthcare Delivery, Significance of Quality Medical Education for Developing Healthcare Ecosystem, Best Healthcare Practices & Innovations across the Nation, among others. IPE Global partnered in the event and got an opportunity to showcase various IEC material of Udaan project in an exclusive exhibition stall. Short videos aimed at desired behaviour change around dietary practices of pregnant and lactating women, titled “Champion Ki Maa, Thoda Aur Kha” were also showcased. These 6 videos have been developed with the Children’s Investment Fund Foundation (CIFF) support, for the Women and Child Development (WCD) department, GoR, under the RajPusht project. Various development partners such as WISH, Tata Trusts, JHPIEGO & GVK also participated in the event. Later, Shri Kali Charan Saraf, Shri Banshidhar Khandela and Shri Naveen Jain visited the IPE stall and appreciated the work done under Udaan project.